Made in the USA with the highest quality construction, excellence, and pride. Each pair of Wassookeag Moccasins are hand cut from full hides of premium full grain leather, hand lasted and hand sewn one at a time only as they are ordered in our small shop nestled in the rolling hills of Central Maine. Since its beginning in the historic shoe manufacturing, now sleepy little town of Dexter Maine, Wassookeag Moccasins has been committed to producing the highest quality handmade leather moccasins available on the market today. 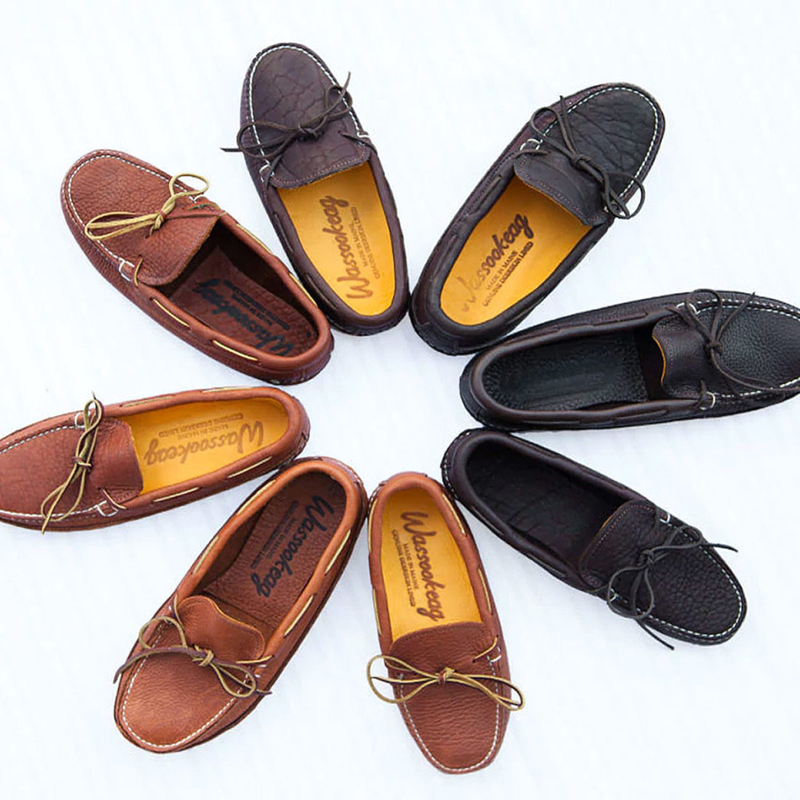 Wassookeag Moccasins whose name is derived from the local Lake Wassookeag (meaning “Shining Waters”) was founded on the principle of offering a superior leather moccasin with great service at a fair price. The highest quality, handmade moccasins you will find anywhere. The finest quality American supplies and leathers – We buy our supplies locally from Maine whenever possible and from within the USA only. Our leather moccasins are not a mass produced product, each pair, each step in our construction process requires skilled hands. These great skills will provide you with hand made leather footwear that has the pride of fine craftsmanship built into every pair. Each pair of our double-sole or soft-sole leather moccasins are painstakingly created step by step, one at a time, by hand, only as they are ordered. 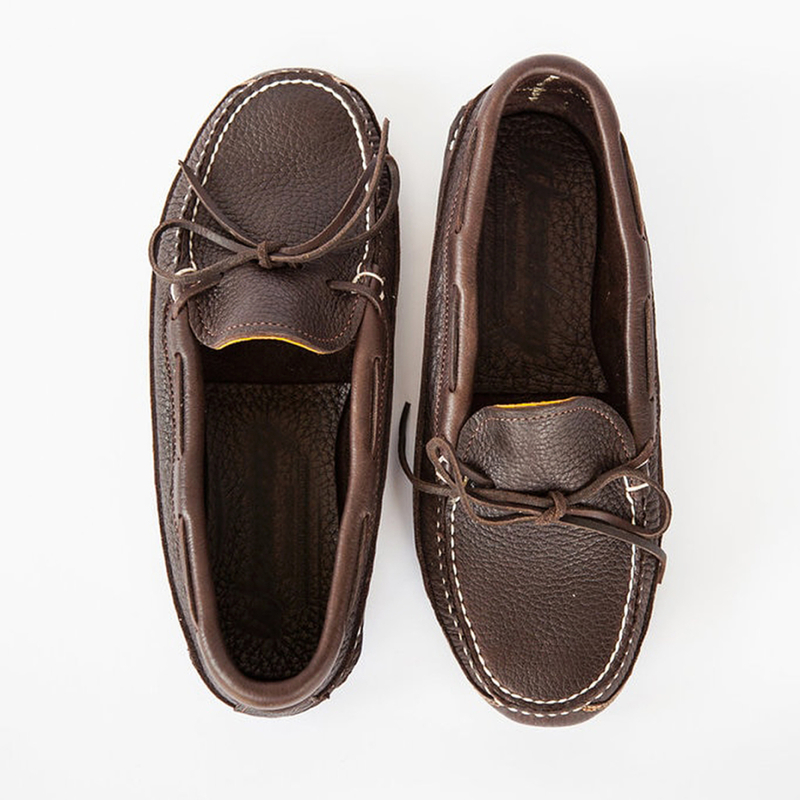 There is nothing quite like the comfortable luxury of a classic handmade, genuine handsewn leather moccasin. 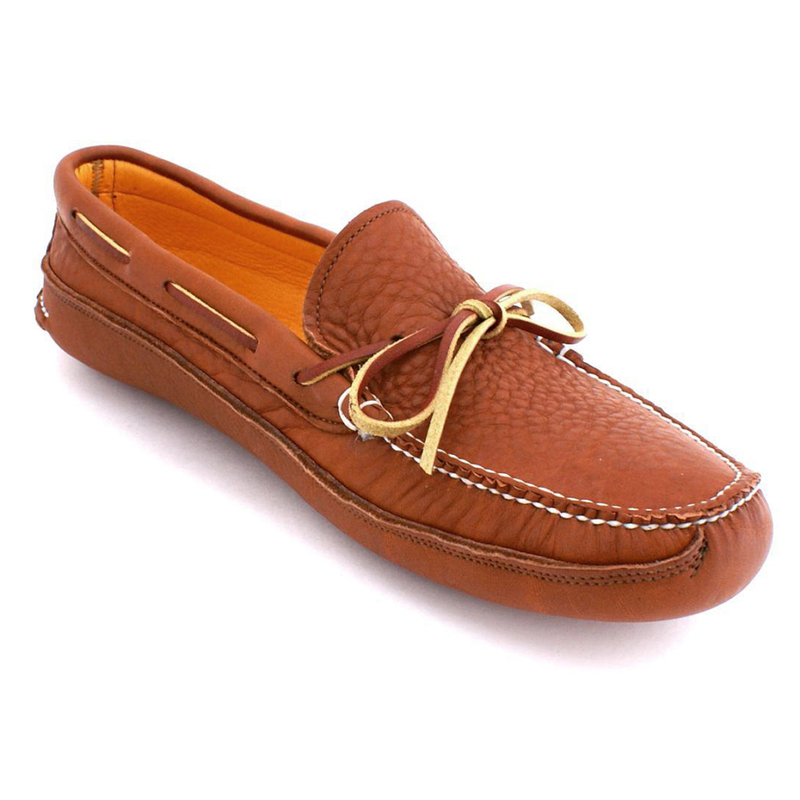 Using only the finest quality buffalo hide, bullhide and cowhide leathers available, we craft by hand your truly unique leather moccasins on a shoe last designed specifically for moccasins, carefully assembling and stitching a soft, easy to break in moccasin leather that provides extraordinary comfort and long lasting durability. Our fashionable all leather soled moccasins will conform to your feet in exceptional comfort, are flexible, breathable and remarkably durable. Although many of our materials are available at a lower cost through overseas suppliers, it is important to us to support and buy from American and local suppliers only. 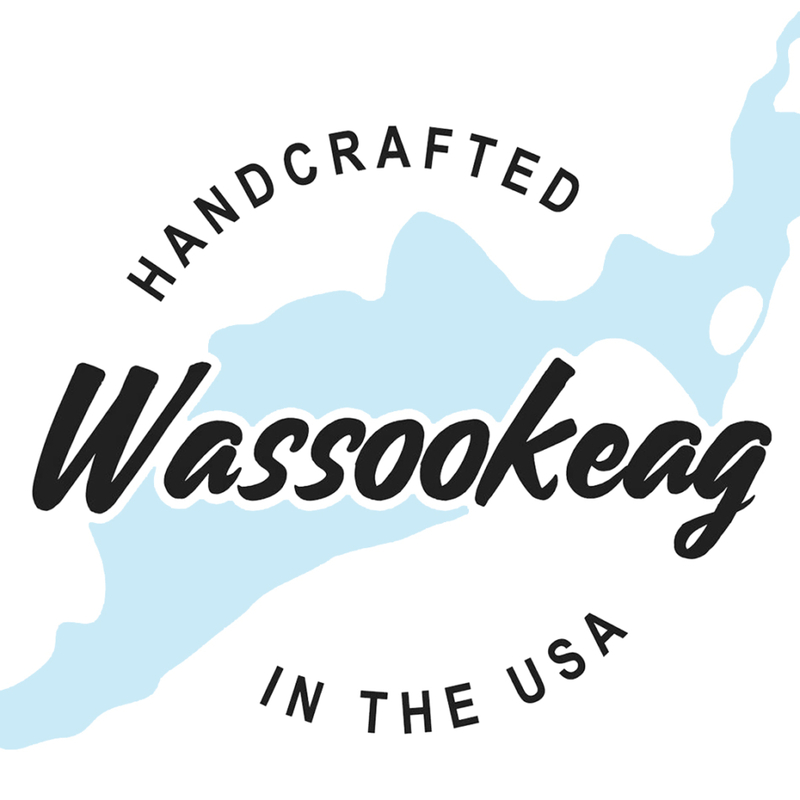 Buying from Wassookeag Moccasins not only supports us, but Maine and American employers and workers as well. We support American Made Products!